The European Commission has prohibited, on the basis of the EU Merger Regulation, the proposed takeover of the Irish flag carrier Aer Lingus by the low-cost airline Ryanair. The acquisition would have combined the two leading airlines operating from Ireland. The Commission concluded that the merger would have harmed consumers by creating a monopoly or a dominant position on 46 routes where, currently, Aer Lingus and Ryanair compete vigorously against each other. This would have reduced choice and, most likely, would have led to price increases for consumers travelling on these routes. During the investigation, Ryanair offered remedies. The Commission assessed them thoroughly and carried out several market tests. However the remedies proposed fell short of addressing the competition concerns raised by the Commission. “The Commission's decision protects more than 11 million Irish and European passengers who travel each year to and from Dublin, Cork, Knock and Shannon” said Commission Vice President in charge of competition policy Joaquín Almunia. 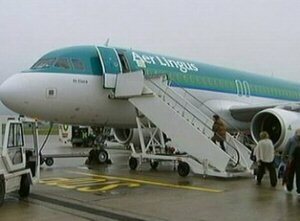 “For them, the acquisition of Aer Lingus by Ryanair would have most likely led to higher fares. During the procedure, Ryanair had many opportunities to offer remedies and to improve them. Ryanair and Aer Lingus are by far the most important carriers operating out of Ireland. They compete directly on 46 routes. It was the third time that the proposed acquisition of Aer Lingus by Ryanair was notified to the Commission. In 2007 the Commission prohibited Ryanair's first attempt to acquire Aer Lingus and this decision was upheld by the EU General Court. In 2009, the second notification by Ryanair was withdrawn. The Commission took into account the changes in market circumstances since 2007, for example the fact that the market positions of Ryanair and Aer Lingus have become even stronger, with their combined market shares going up from 80% in 2007 to 87% in 2012 for short-haul flights out of Dublin. The number of routes to and from Ireland operated in competition by Ryanair and Aer Lingus has increased from 35 in 2007 to 46 in 2012. The combination of Ryanair and Aer Lingus would have led to very high market shares on all of these 46 routes, with the EU saying that on 28 routes the proposed merger would have created an outright monopoly. On 11 further routes, the only alleged competitive constraint to the merged entity would have come from charter airlines. The proposed merger would therefore have removed the currently vibrant competition between Ryanair and Aer Lingus on all these routes where their activities overlap. In short, customers' travelling options would have been substantially reduced and it is unlikely that competitors would have been able to sufficiently constrain the merged entity in its market behaviour. Higher prices for passengers would have been the likely outcome.